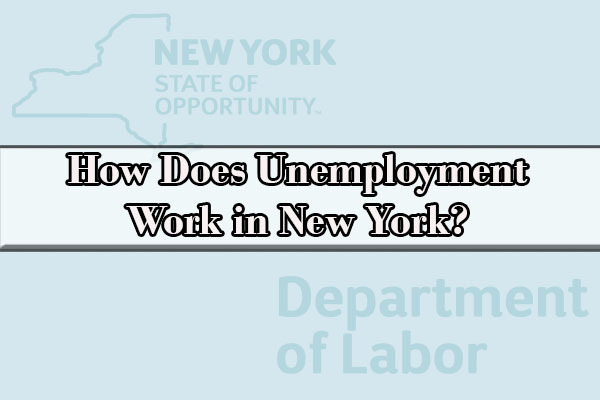 How does unemployment work in New York? No one actually wants to know the answer to this important question, because no one wants to imagine losing their job or needing to rely on unemployment severance. However, many need to know the answer. As experienced NYC Employment Attorneys, we can share our knowledge. Imagine that you have been working for a company for a while when the company announces a round of layoffs. Despite your dedication to your employer’s business, your name is on the list of these “lucky ones” who must now find new work. Negative thoughts fill your mind. Questions and dreading thoughts begin to circulate through your head. How will you pay bills, buy food, cover student loans, and so on? While the situation may seem dire, it is not hopeless. This is because you may be able to obtain unemployment compensation benefits. Fortunately, learning how to qualify for unemployment in New York is not hard. How does unemployment work in New York? How do I file for unemployment in New York? Can you get unemployment if you get severance pay? Can I work and collect unemployment in New York? If you feel like you have a very specific question, please contact the Department of Labor. You are probably familiar with the idea of unemployment benefits if you are reading this article, but few people actually know what they really are. Unemployment insurance benefits provide temporary income for unemployed workers. To receive unemployment benefits, you must be eligible. All unemployment benefits are administered by the New York State Department of Labor and are paid for by the state’s employment taxes. Be ready, willing, and available to work immediately. A portion of each and every employee’s paycheck goes toward the New York State Unemployment Insurance Program’s fund. To become eligible to access that fund, an unemployed individual must work for a minimum established time to build up benefits eligibility. The labor office uses a published table to calculate eligibility and the amount of the benefits that unemployed workers can receive. It does not matter whether the employee worked full-time, part-time, or on a temporary basis as long as he or she meets the eligibility criteria. Note that independent contractors will not receive unemployment coverage because they are not paid wages. If you are a member of one of these groups contact the Department of Labor to see other options available. 1. You must have worked for at least two calendar quarters. A calendar quarter is three months of the year. In other words, you cannot claim unemployment benefits unless you have worked for at least six months. To meet this requirement, an employee does not need to work for six consecutive months of the year, as long as the employee can demonstrate that were employed for two three-month quarters. For example, assume a pregnant employee begins work in January and works through March and gives birth on April 1. If this pregnant employee takes sick leave for April, May and June, but returns to work in July, she will become eligible for unemployment benefits in September. 2. You must have been paid at least $1,900 in one calendar quarter. This is not an overall average. Everyone claiming unemployment will be required to show paychecks that fall within a three-month period that total at least $1,900. 3. Your total payment over four quarters must be at least 1.5 times the amount that you earned in the one highest-paying quarter. For example, if during your highest- paying three month period you earned $4,000, then the total for four quarters (a year) must be at least $6,000 ($4,000 x 1.5 = $6,000). 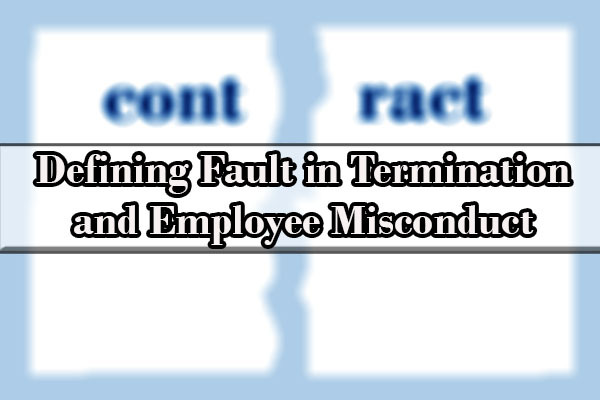 A terminated employee has become unemployed through “no fault of your own” only when he or she was fired because of factors outside of his or her control. An unemployed worker is eligible, for example, if his or her employer decided to reduce the size of the work staff. An unemployed worker can also receive unemployment if his or her position was no longer needed. However, if the unemployed worker was fired because of misconduct or breaking rules, he or she may not be eligible. Additionally, employees who voluntarily quit their jobs are also not eligible for unemployment compensation. Finally, an unemployed worker may only claim unemployment insurance if he or she is ready, willing, able, and available to work immediately. There are two issues that anyone seeking unemployment benefits should be aware of regarding work availability. Second, unemployed worker is medically unable to work, then he or she may not eligible to collect unemployment benefits. If you are medically unable to work, you still have some options for support. You could file a claim for worker’s compensation benefits, if you were injured on the job. With other medical disabilities, you may qualify for social security disability benefits. Visit the website of the New York Office of Temporary and Disability Assistance: www.otda.ny.gov. Persons seeking unemployment insurance benefits may file a claim online or by phone any time on Monday through Thursday between 7:30 a.m. and 7:30 p.m., Friday between 7:30 a.m. and 5:00 p.m., anytime on Saturday, or on Sunday until 7:00 p.m. You should file your claim within one week of losing your job to receive the maximum amount of benefits. Prior to receiving benefits, you will need to serve an unpaid waiting period equal to a full week of benefits. Before you apply for unemployment insurance, make sure to assemble the necessary information first. If you file for unemployment compensation and have not provided all of the necessary information, you may still open an unemployment benefits account and file an initial claim, but your payments may be delayed until you can provide all of the necessary information. You must also provide a reason for claiming unemployment benefits. Depending on the reason given by the claimant, benefits may either be granted or denied. If the agency cannot determine whether a claimant qualifies for unemployment benefits, they will arrange a hearing for the claimant and his or her previous employer to explain the circumstances in more detail. Do not lie on your application for unemployment benefits. If the Department of Labor determines that the claimant made a false statement on his or her benefits application, the claimant may be denied benefits or be charged with an overpayment. In that case, the claimant must repay the government any unemployment benefits that he or she was not actually entitled to receive. If you have received a notice about an overpayment, you can request a hearing to contest that notice. There are generally two reasons that a claim for unemployment insurance will be rejected. First, a claim for unemployment compensation will be denied if the claimant has not met the work and earnings requirements. If you have been rejected for this reason, you may file a Request for Reconsideration if you believe that the agency has either wrongfully calculated your earnings or omitted relevant work history. Work with the agency to review your request and provide them with any information they may need to help resolve the problem. 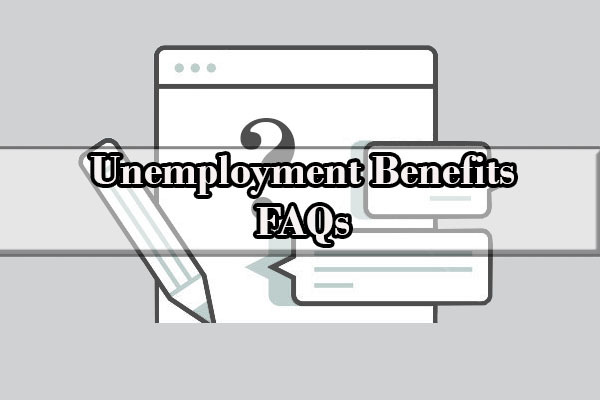 Second, you may be denied for some other reasons such as your employer contesting your claim for benefits, you voluntarily quit your job, or you failed to search for employment during the unemployment benefits period. If you have been denied for any of these other reasons, you will receive a separate Notice of Determination. You may appeal a denial of benefits by requesting a hearing before an administrative law judge, in writing, within 30 days after the date on the notice. After receiving your appeal request, a hearing will be scheduled. MAKE SURE TO ATTEND THE HEARING!!! If you do not attend, you may lose your ability to collect unemployment benefits. The administrative law judge will decide on your claim and issue a written decision. If you disagree with the decision after the hearing, you may appeal to the Unemployment Insurance Appeal Board. The Appeal Board will review the evidence and issue a written decision. If you disagree with this decision, you may file a civil case in the Appellate Division of the New York State Supreme Court, Third Department. After filing for unemployment benefits, you must wait for one week before collecting benefits. This week is called the “unpaid waiting week.” If you work during this week, your benefits will be delayed and you will be required to serve a second unpaid waiting week. After the single unpaid waiting week, your unemployment benefits will begin to accrue. However, you will not actually receive payment for at least three or up to six weeks from the date of your initial claim. This additional time allows the state to confirm your eligibility and verify the amount of your benefits. You must file a claim for your benefits each week, whether you have received benefits yet or not. This process is referred to as “certifying for benefits.” Most people claim their benefits on Sunday of each week, for the week that just ended. Also, you will be asked a series of questions to verify your continuing eligibility. You must answer all questions truthfully. Unemployment benefits used to be paid by check; however, all benefits are now paid only electronically. To collect your benefits, you must sign up for either direct deposit into your bank account or an automatic debit card. You may sign up for direct deposit on the unemployment office website at www.labor.ny.gov. From that site, select “Unemployment Insurance” and “Claim Weekly Benefits.” Then enter your own account information. Once into your account, you can manage how you will receive payments by providing routing number and account information for your bank. To claim your benefits by debit card, you will need to make your initial request by telephone or through the online account. You will be issued a card within seven to ten days, which will then receive automatic updates when each week’s benefits are issued. Q: Will I be eligible for unemployment benefits if I was laid off from work? A: Yes. In New York, you are eligible to collect unemployment benefits if you were let go by your employer as part of cost cutting layoffs or other similar reasons for dismissal. If you were dismissed due to misconduct or if you quit, however, you will not qualify for benefits. Q: If I voluntarily quit my job but I had a good reason, will I qualify for unemployment? A: Sometimes yes, sometimes no. In general, voluntary quits will result in no unemployment benefits. However, the state of NY does understand that there could be reasons which force an individual to quit. If you quit because of discrimination, abuse or hostility at work, there is a chance that you may qualify for benefits. You may also qualify for benefits if your boss forced you to quit or retire. You will need to provide evidence to support your story. Q: Can I file a claim if I lost my full-time work, but still work part-time? A: Yes, if you work less than 4 days in a week and earn $435 or less in that week, you may receive partial benefits. When you file your unemployment claim, always report any part time work that you have and provide information about that employment including the date of the last day you physically reported to work. Q: What will the amount of my unemployment benefits be? Q: What is the maximum amount of benefits I can receive? A: Although your unemployment claim lasts for one year (your benefit year), during that time you can only receive a maximum of 26 times your full weekly rate. The same amount of money applies for weeks of partial unemployment. Q When should I file for unemployment benefits? A. As soon as possible. Any delay in filing can result in reduced benefits rates. Make sure to claim employment every week you are out of work. Q: If I live in New York State, but worked in another state, where do I apply for benefits? A: If you live in New York State, but all your work in the past 18 months was in another state, file your claim with the state where you worked. It does not matter where you actually live. Depending on the other state’s unemployment benefits rules, you may be able to combine wages from all the states where you worked, or you may only be permitted to use the wages earned in the filing state. If you have questions about another state’s unemployment benefits eligibility rules, you should contact the unemployment benefits provider in that state. 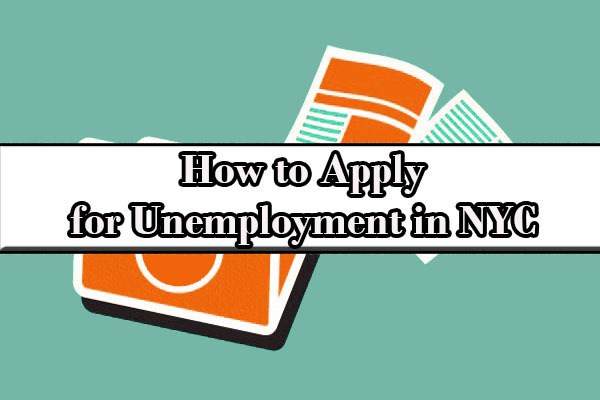 Q: If I currently receive unemployment in another state, how do I register with NYS? A: If you filed a claim in another state, but have since moved to New York, the other state may require you to register and receive reemployment services with New York State. To register with New York State, please go to the nearest New York State Career Center office and ask them to register you for reemployment services. Q: What if I worked in New York State, but live in another state? A: If you currently live in a different state, but all of your work in the past 18 months was in New York, you must file your claim in New York. If you worked in two or more states in the past 18 months, you must file your claim with one of the states where you worked. It doesn’t matter where you actually live. Q: What if I plan to move out of New York State? A: If you are looking for work outside of New York State or plan to move, you must contact the Telephone Claim Center. They will tell you how to transfer your claim. Q Where is unemployment office in Manhattan? A: The physical location of the New York City Department of Labor is on West 125th Street. While this article is intended to provide a comprehensive overview of unemployment benefits in New York City, the topic is complicated. If you have any questions, you should contact the Department of Labor.